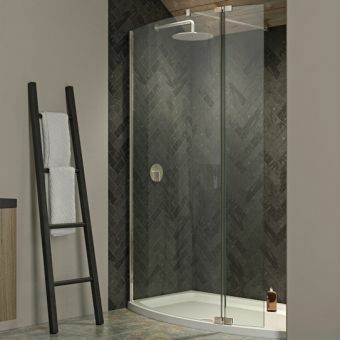 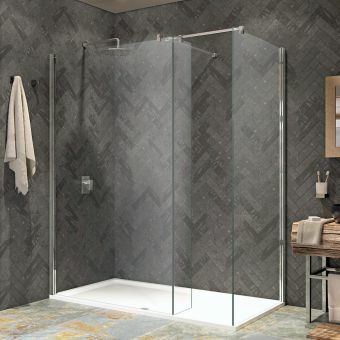 A sleek and modern solution to creating the shower space, the Ultimate 2 Curved Corner walk-in Pack has been expertly engineered by Kudos to retrieve the maximum amount of space out of the interior dimensions available. 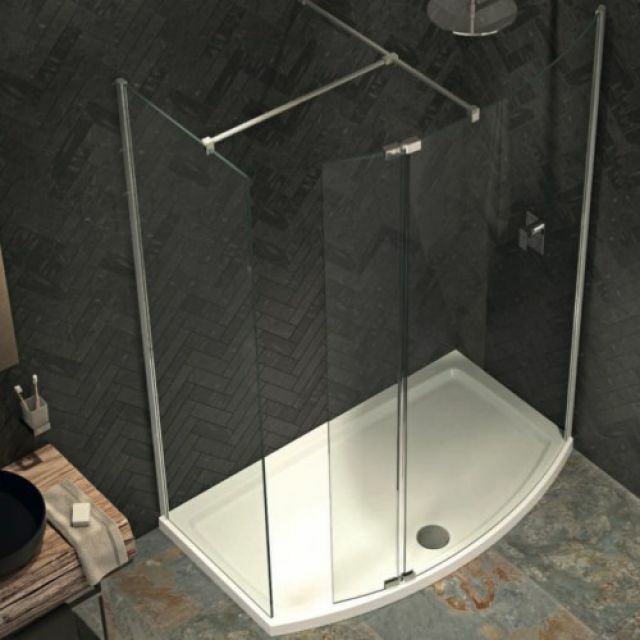 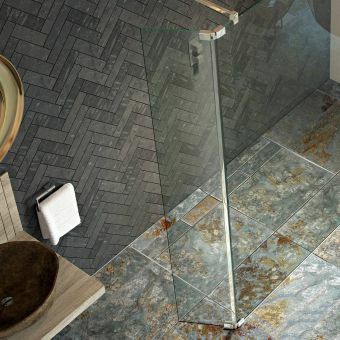 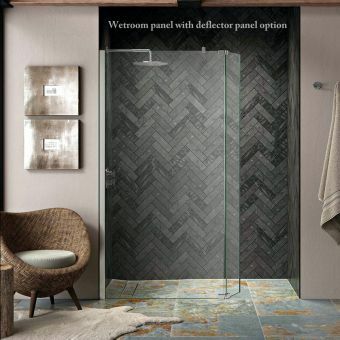 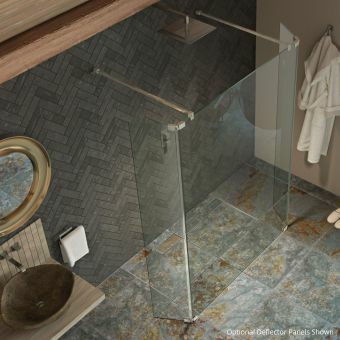 Flat walk-in areas require a greater overall footprint, whereas the sweeping arc of the Curved Corner walk-in shower space provides more access in and around existing bathroom furniture. 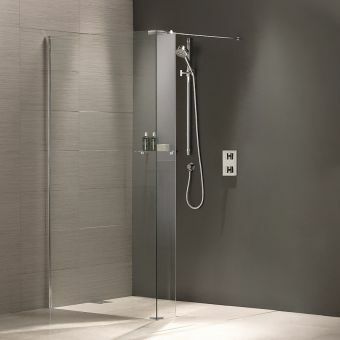 Fitted flush into the corner of the room, the walk-in shower space eliminates the need for a shower door, further improving accessibility. 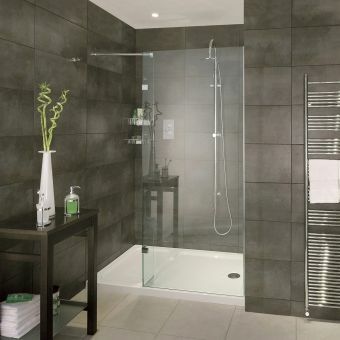 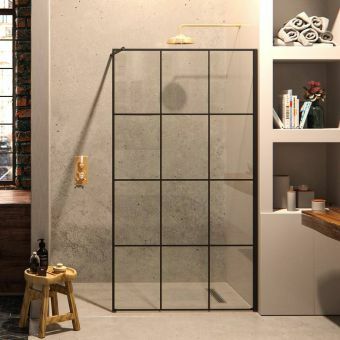 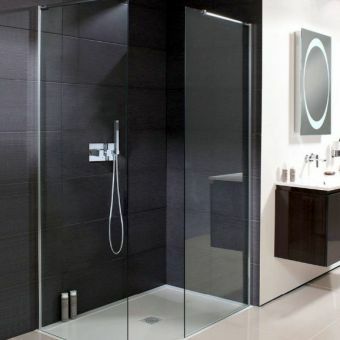 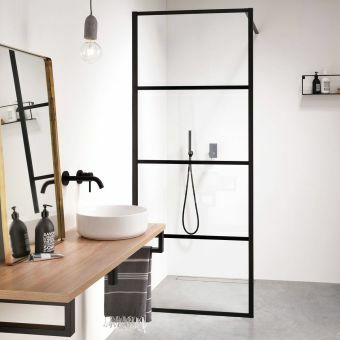 Realised in a cool combination of glass, chrome and the white of the shower tray, this open and accessible shower space projects a strong sense of cleanliness and hygiene. 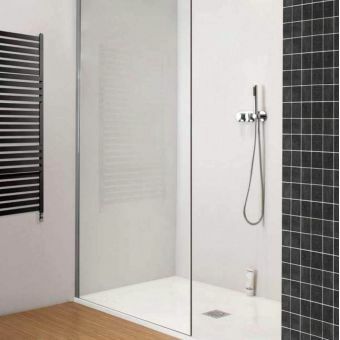 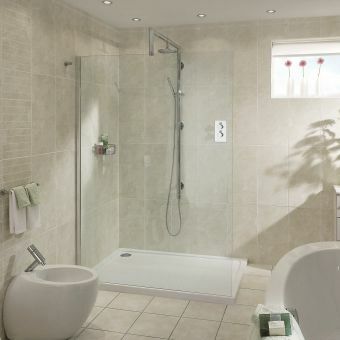 Each kit comes supplied with the curved front panel and front panel fixing kit, side panel, two wall post kits, bow fronted shower tray and a dedicated shower waste unit. 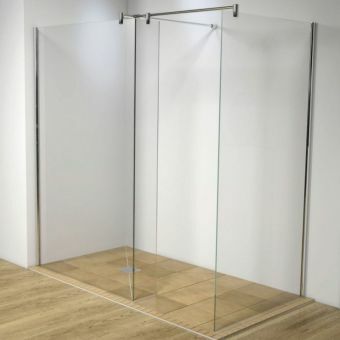 If required, a plinth and return deflector panel can be included at an additional cost. 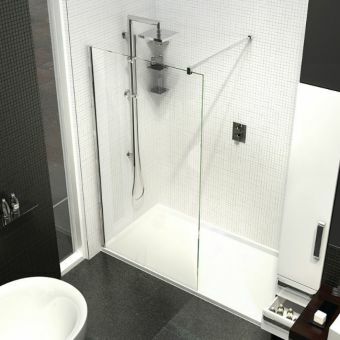 The return panel is hinged and readily attaches to the main front panel.